Product information "Bellevue AJ9 Wall Light"
This beautiful creation that is made by & tradition, adapts with its dazzling painted aluminum shade, the steel frame and a selection of different colors at each living room. The Bellevue AJ 9 Wall Light was designed by Arne Jacobsen and stands out with a two meter long textile cable and atmospheric lighting options. 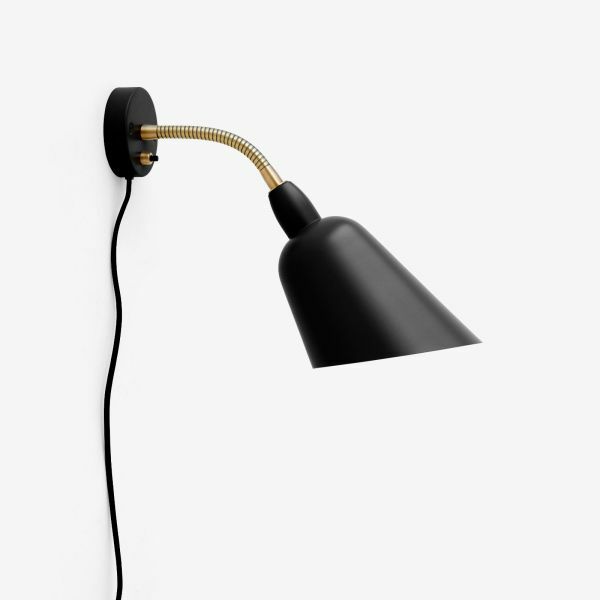 The Danish manufacturer & tradition produced the classic now with the beautiful "gooseneck" in Brass and makes the AJ wall lamp more attractive and modern. Related links to "Bellevue AJ9 Wall Light"